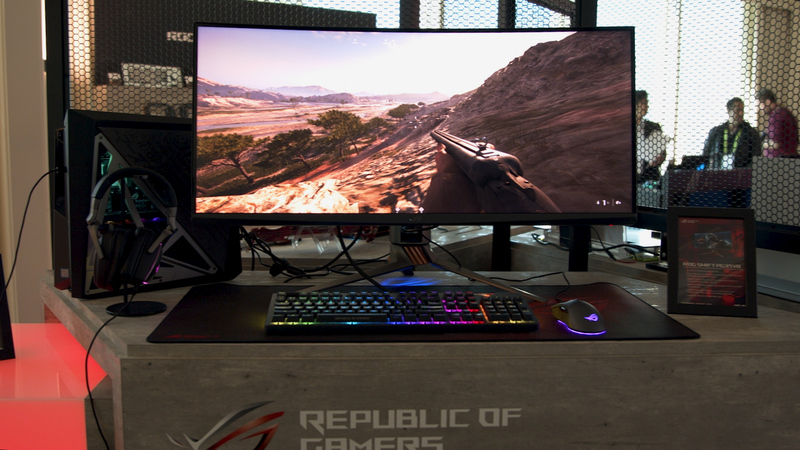 JJ from ASUS gave us our first look at the newest “best of the best” gaming monitor from the company at CES 2019. The PG35VQ upgrades the features of one an already popular monitor line to now offer HDR1000 color along with G-SYNC performance and a refresh rate overclockable up to 200Hz. It also comes with enhanced onboard audio features and, of course, RGB lights.